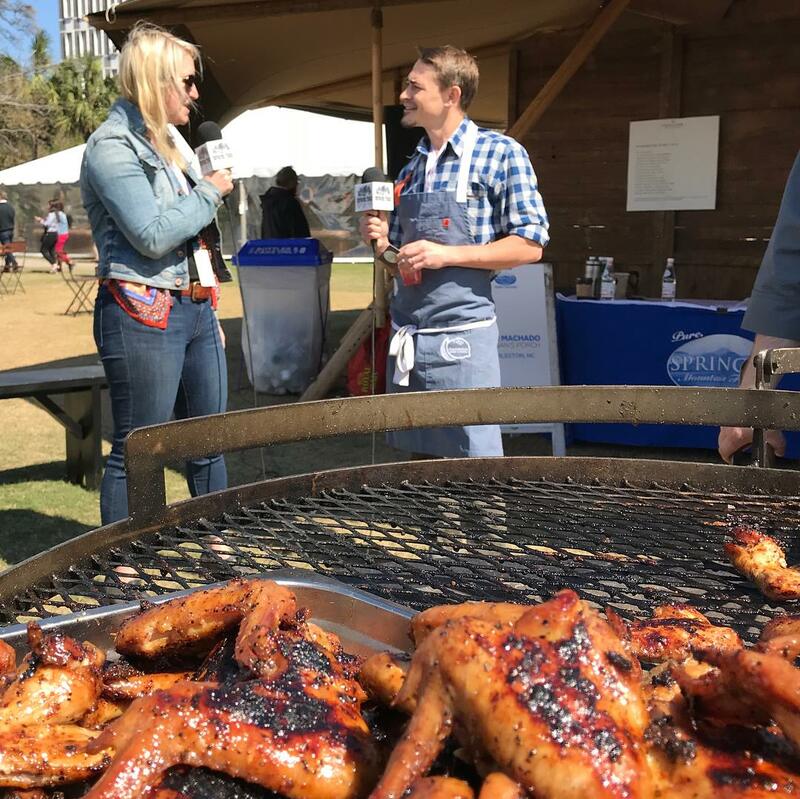 We kick off day three at Charleston Wine + Food festival with Chef Blair Machado of Poogan’s Porch at the Springer Mountain Farms campfire! Tucked away on charming Queen Street, Poogan’s Porch is one of Charleston’s oldest independent culinary establishments, with a fresh approach to Lowcountry cuisine. Recognized by Martha Stewart Living, Wine Spectator and The Travel Channel, this beautifully restored Victorian house is the perfect southern spot for lunch, dinner or weekend brunch.